2015 Chevrolet Express G2500 Cargo Van with Cab Divider and ONLY 62K MILES!!! This Express is powered by the reliable, hardworking 4.8L V8 Motor and Automatic Transmission. These don't last very long so do yourself a favor and stop clicking and give us a call Toll free 888-630-1622 for one of our Commercial Truck Specialist. You may find a cheaper truck but you will not find a one that has been reconditioned mechanically to our standards. Bob Hook Chevrolet is considered one of the Premier Commercial Truck Centers for New and Pre-owned work vehicles in the U.S. and we are family owned and operated since 1953. Our Pre-owned reconditioning standards are high and we want every client to be "Completely Satisfied" Our #1 Goal is for all of our work related vehicles to exceed your expectation. Bob Hook Chevrolet Commercial Truck department is located at 4155 Bardstown Rd in Louisville, KY 40218. We will be happy to deliver your purchases if needed. Let us know and we will do everything we can to get it to you as quickly as possible. Most pictures are taken before being detailed. All units are completely detailed before delivery. Bob Hook Commercial Trucks is located at 4155 Bardstown Rd, Louisville, KY 40218 next door to Enterprise Car Rental on the opposite side of the street from the main showroom location which is at 4144 Bardstown Road. Hours of operation are as follows. Monday – Thursday 8:30 AM to 6 PM, Friday 8:30 AM to 5 PM and Saturday 9 AM to 5 PM. Due to high value of vehicle turn over please do yourself a favor and call to check availability before traveling and arrange a good time to meet. All vehicles remain for sale until a deposit is given. **NAVIGATION**SUNROOF**REAR ENTERTAINMENT**HEATED REAR SEATS**CARFAX One-Owner. Clean CARFAX. Summit White 2018 Chevrolet Suburban LT 4WD 6-Speed Automatic Electronic with Overdrive V8 4-Wheel Antilock Disc Brakes, ABS brakes, Compass, Electronic Stability Control, Front dual zone A/C, Heated door mirrors, Heated Front Reclining Bucket Seats, Heated front seats, Illuminated entry, Low tire pressure warning, Power Liftgate, Power-Adjustable Accelerator & Brake Pedals, Remote keyless entry, Traction control. Contact our Internet Department for pricing and availability. We want to earn your business! Bob Hook was voted Best of Louisville for Auto Service, because customer satisfaction is our #1 Goal. YOU CAN TEXT US AT 502-514-9011. Disclaimer: Prices are net of any and all rebates. Check out this one owner well maintained 2013 Dodge Ram 2500 with an 8' service body. This super nice work truck is powered by the reliable, hard working V8 5.7L Hemi and 6-Speed Automatic Transmission. These don't last very long so do yourself a favor and stop clicking and call(502)657-4308 or Toll free at 888-630-1622 and ask for one of our Commercial Truck Specialist A.S.A.P. You may find a cheaper truck but you will not find a one that has been reconditioned mechanically to our standards. Bob Hook Chevrolet is considered one of the Premier Commercial Truck Centers for New and Pre-owned work vehicles in the U.S. and we are family owned and operated since 1953. Our Pre-owned reconditioning standards are high and we want every client to be "Completely Satisfied" Our #1 Goal is for all of our work related vehicles to exceed your expectation. Bob Hook Chevrolet Commercial Truck department is located at 4155 Bardstown Rd in Louisville, KY 40218. We will be happy to deliver your purchases if needed. Let us know and we will do everything we can to get it to you as quickly as possible. If there are no pictures of the unit it is because it is still in transportation to our dealership. Most pictures are taken before being detailed. All units are completely detailed before delivery. Thanks for looking!!! Bob Hook Commercial Trucks is located at 4155 Bardstown Rd, Louisville, KY 40218 next door to Enterprise Car Rental on the opposite side of the street from the main showroom location which is at 4144 Bardstown Road. Hours of operation are as follows. Monday – Thursday 8:30 AM to 6 PM, Friday 8:30 AM to 5 PM and Saturday 9 AM to 5 PM. Due to high value of vehicle turn over please do yourself a favor and call to check availability before traveling and arrange a good time to meet. All vehicles remain for sale until a deposit is given. 2014 Ford F-150 Short Bed Work Truck with Work Topper. This Clean F150 is powered by the reliable, hard working, fuel efficient 3.7L (6) CYL and 6-Speed Automatic Transmission. Nice trucks like this one don't last very long so do yourself a favor and stop clicking and call Toll free at 888-630-1622 for one of our Commercial Truck Specialist. You may find a cheaper truck but you will not find a one that has been reconditioned mechanically to our standards. Bob Hook Chevrolet is considered one of the Premier Commercial Truck Centers for New and Pre-owned work vehicles in the U.S. and we are family owned and operated since 1953. Our Pre-owned reconditioning standards are high and we want every client to be "Completely Satisfied" Our #1 Goal is for all of our work related vehicles to exceed your expectation. Bob Hook Chevrolet Commercial Truck department is located at 4155 Bardstown Rd in Louisville, KY 40218. We will be happy to deliver your purchases if needed. Let us know and we will do everything we can to get it to you as quickly as possible. Thanks for looking!!! Bob Hook Commercial Trucks is located at 4155 Bardstown Rd, Louisville, KY 40218 next door to Enterprise Car Rental on the opposite side of the street from the main showroom location which is at 4144 Bardstown Road. Hours of operation are as follows. Monday – Thursday 8:30 AM to 6 PM, Friday 8:30 AM to 5 PM and Saturday 9 AM to 5 PM. Due to high value of vehicle turn over please do yourself a favor and call to check availability before traveling and arrange a good time to meet. All vehicles remain for sale until a deposit is given. 2015 Toyota Tacoma Extended Cab Work Truck Long Bed with a Work Topper. This Tacoma is powered by the reliable, hard working, fuel efficient 2.7L (4) CYL., 4-Speed Automatic Transmission with power windows and power door locks. Nice trucks like this one don't last very long so do yourself a favor and stop clicking and call Toll free 888-630-1622 for one of our Commercial Truck Specialist. You may find a cheaper truck but you will not find a one that has been reconditioned mechanically to our standards. Bob Hook Chevrolet is considered one of the Premier Commercial Truck Centers for New and Pre-owned work vehicles in the U.S. and we are family owned and operated since 1953. Our Pre-owned reconditioning standards are high and we want every client to be "Completely Satisfied" Our #1 Goal is for all of our work related vehicles to exceed your expectation. Bob Hook Chevrolet Commercial Truck department is located at 4155 Bardstown Rd in Louisville, KY 40218. We will be happy to deliver your purchases if needed. Let us know and we will do everything we can to get it to you as quickly as possible. Thanks for looking!!! Bob Hook Commercial Trucks is located at 4155 Bardstown Rd, Louisville, KY 40218 next door to Enterprise Car Rental on the opposite side of the street from the main showroom location which is at 4144 Bardstown Road. Hours of operation are as follows. Monday – Thursday 8:30 AM to 6 PM, Friday 8:30 AM to 5 PM and Saturday 9 AM to 5 PM. Due to high value of vehicle turn over please do yourself a favor and call to check availability before traveling and arrange a good time to meet. All vehicles remain for sale until a deposit is given. 2014 GMC Savana G3500 13' Low Profile Cutaway with Rear Barn Doors, Easy Access Rear Steps and Top Hat Raised Roof Conversions with Tall Cab Access Walk Through Door ONLY 103K Miles!!! This beauty is powered by the reliable, hard working 6.0L V8 gas engine. These are Rare Trucks don't last very long so do yourself a favor and stop clicking and call Toll free 888-630-1622 for one of our Commercial Truck Specialist. You may find a cheaper truck but you will not find a one that has been reconditioned mechanically to our standards. Bob Hook Chevrolet is considered one of the Premier Commercial Truck Centers for New and Pre-owned work vehicles in the U.S. and we are family owned and operated since 1953. Our Pre-owned reconditioning standards are high and we want every client to be "Completely Satisfied" Our #1 Goal is for all of our work related vehicles to exceed your expectation. We will be happy to deliver your purchases if needed. Let us know and we will do everything we can to get it to you as quickly as possible. If there are no pictures of the unit it is because it is still in transportation to our dealership. Most pictures are taken before being detailed. All units are completely detailed before delivery. Thanks for looking!!! Bob Hook Commercial Trucks is located at 4155 Bardstown Rd, Louisville, KY 40218 next door to Enterprise Car Rental on the opposite side of the street from the main showroom location which is at 4144 Bardstown Road. Hours of operation are as follows. Monday – Thursday 8:30 AM to 6 PM, Friday 8:30 AM to 5 PM and Saturday 9 AM to 5 PM. Due to high value of vehicle turn over please do yourself a favor and call to check availability before traveling and arrange a good time to meet. All vehicles remain for sale until a deposit is given. 2017 Ford Transit T350 Extended (15) Passenger Wagon. This Transit T350 is powered by the reliable, hardworking, fuel efficient 3.7L V6 Gas Motor and 6-Speed Automatic Transmission with only 47K Miles! This beauty has all the comforts of home and it is ready to work for you. These don't last very long so do yourself a favor and stop clicking and call Toll free at 888-630-1622 for one of our Commercial Truck Specialist.You may find a cheaper truck but you will not find a one that has been reconditioned mechanically to our standards. Bob Hook Chevrolet is considered one of the Premier Commercial Truck Centers for New and Pre-owned work vehicles in the U.S. and we are family owned and operated since 1953. Our Pre-owned reconditioning standards are high and we want every client to be "Completely Satisfied" Our #1 Goal is for all of our work related vehicles to exceed your expectation. We will be happy to deliver your purchases if needed. Let us know and we will do everything we can to get it to you as quickly as possible. Most pictures are taken before being detailed. All units are completely detailed before delivery. Bob Hook Commercial Trucks is located at 4155 Bardstown Rd, Louisville, KY 40218 next door to Enterprise Car Rental on the opposite side of the street from the main showroom location which is at 4144 Bardstown Road. Hours of operation are as follows. Monday – Thursday 8:30 AM to 6 PM, Friday 8:30 AM to 5 PM and Saturday 9 AM to 5 PM. Due to high value of vehicle turn over please do yourself a favor and call to check availability before traveling and arrange a good time to meet. All vehicles remain for sale until a deposit is given. These don't last very long so do yourself a favor and stop clicking and call Willie at (502)594-8500 A.S.A.P. You may find a cheaper truck but you will not find a one that has been reconditioned mechanically to our standards. Bob Hook Chevrolet is considered one of the Premier Commercial Truck Centers for New and Pre-owned work vehicles in the U.S. and we are family owned and operated since 1953. Our Pre-owned reconditioning standards are high and we want every client to be "Completely Satisfied" Our #1 Goal is for all of our work related vehicles to exceed your expectation. We will be happy to deliver your purchases if needed saving you time and money. Thanks for looking!!! 2017 Ford F350 Crew Cab 4X4 with a 9'6" Flatbed and 26,000 lb.Gooseneck. This F350 is powered by the reliable, hardworking, fuel efficient 6.7L V8 Motor and 6-Speed Automatic Transmission with 62K Miles. These don't last very long so do yourself a favor and stop clicking and call Toll free 888-630-1622 for one of our Commercial Truck Specialist. You may find a cheaper truck but you will not find a one that has been reconditioned mechanically to our standards. Bob Hook Chevrolet is considered one of the Premier Commercial Truck Centers for New and Pre-owned work vehicles in the U.S. and we are family owned and operated since 1953. Our Pre-owned reconditioning standards are high and we want every client to be "Completely Satisfied" Our #1 Goal is for all of our work related vehicles to exceed your expectation. Bob Hook Chevrolet Commercial Truck department is located at 4155 Bardstown Rd in Louisville, KY 40218. We will be happy to deliver your purchases if needed. Let us know and we will do everything we can to get it to you as quickly as possible. If there are no pictures of the unit it is because it is still in transportation to our dealership. Most pictures are taken before being detailed. All units are completely detailed before delivery. Thanks for looking!!! Bob Hook Commercial Trucks is located at 4155 Bardstown Rd, Louisville, KY 40218 next door to Enterprise Car Rental on the opposite side of the street from the main showroom location which is at 4144 Bardstown Road. Hours of operation are as follows. Monday – Thursday 8:30 AM to 6 PM, Friday 8:30 AM to 5 PM and Saturday 9 AM to 4 PM. Due to high value of vehicle turn over please do yourself a favor and call to check availability before traveling and arrange a good time to meet. All vehicles remain for sale until a deposit is given. Check out this beautiful one owner 2018 Sierra 2500 HD 4x4 with the SLT trim package and Navigation. Only 25K miles with all the comforts of home. These don't last very long so do yourself a favor and stop clicking and call Toll free 888-630-1622 for one of our Commercial Truck Specialist. You may find a cheaper truck but you will not find a one that has been reconditioned mechanically to our standards. Bob Hook Chevrolet is considered one of the Premier Commercial Truck Centers for New and Pre-owned work vehicles in the U.S. and we are family owned and operated since 1953. Our Pre-owned reconditioning standards are high and we want every client to be "Completely Satisfied" Our #1 Goal is for all of our work related vehicles to exceed your expectation. 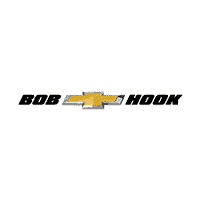 Bob Hook Chevrolet Commercial Truck department is located at 4155 Bardstown Rd in Louisville, KY 40218. We will be happy to deliver your purchases if needed. Let us know and we will do everything we can to get it to you as quickly as possible. If there are no pictures of the unit it is because it is still in transportation to our dealership. Most pictures are taken before being detailed. All units are completely detailed before delivery. Thanks for looking!!! Bob Hook Commercial Trucks is located at 4155 Bardstown Rd, Louisville, KY 40218 next door to Enterprise Car Rental on the opposite side of the street from the main showroom location which is at 4144 Bardstown Road. Hours of operation are as follows. Monday – Thursday 8:30 AM to 6 PM, Friday 8:30 AM to 5 PM and Saturday 9 AM to 5 PM. Due to high value of vehicle turn over please do yourself a favor and call to check availability before traveling and arrange a good time to meet. All vehicles remain for sale until a deposit is given.